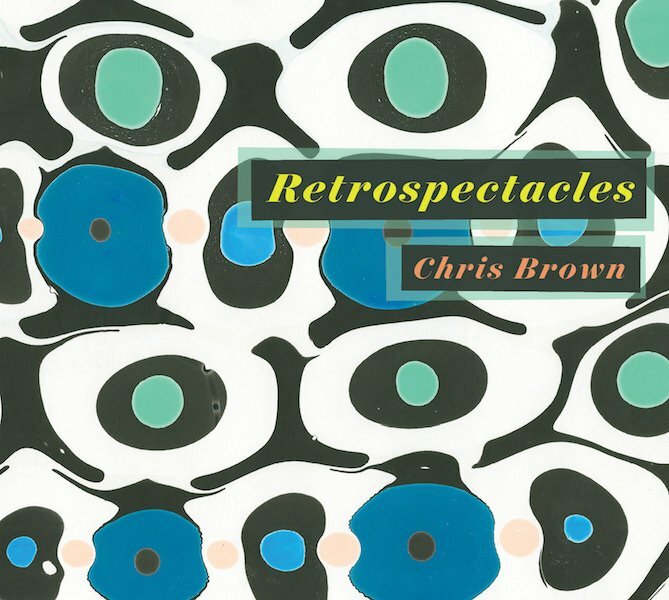 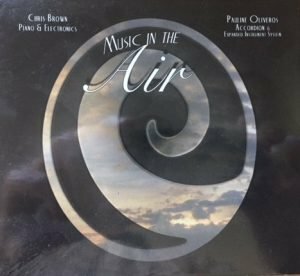 Retrospectacles is a double-CD retrospective of works for piano and interactive computer composed, programmed and performed by the San Francisco Bay Area experimentalist composer Chris Brown. 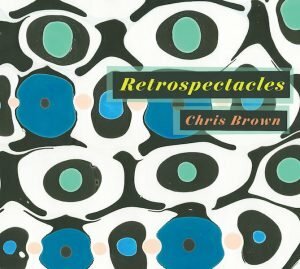 It showcases recordings made between the 1990’s to 2016 of compositions that explore evolving paradigms of human-machine interaction through live signal processing, generative polyrhythmic textures, and a cohabitation of both formal control and indeterminacy. 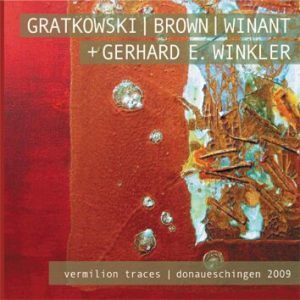 Gratkowski-Brown-Winant Trio, Leo Records, double CD, studio recordings of free improvisations (disc 1) and a live performance at the 2009 Donaueschingen Festival of free improvisations. 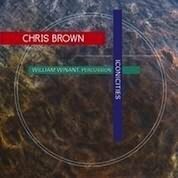 three compositions by Chris Brown for percussion and live computer processing, featuring William Winant, percussion, Chris Brown, piano and live electronics, and the William Winant Percussion Group. 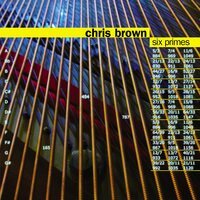 Chris Brown, piano and live computer processing; Pauline Oliveros, accordion, conch, percussion and Expanded Instrument System (EIS); recorded, Berkeley, California, September 2008.